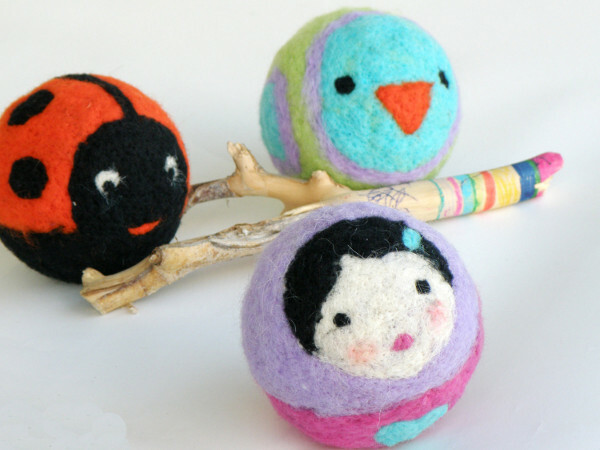 It’s a toddler ball with a difference – a handmade woollen felted ball with a gorgeous little face. We’re seeing an increasing trend towards toys for children in the Waldorf tradition – made from natural, highly sensory materials, and encouraging creative, open-ended play, and of course the added bonus is that these toys are usually quite unique and beautiful as well. 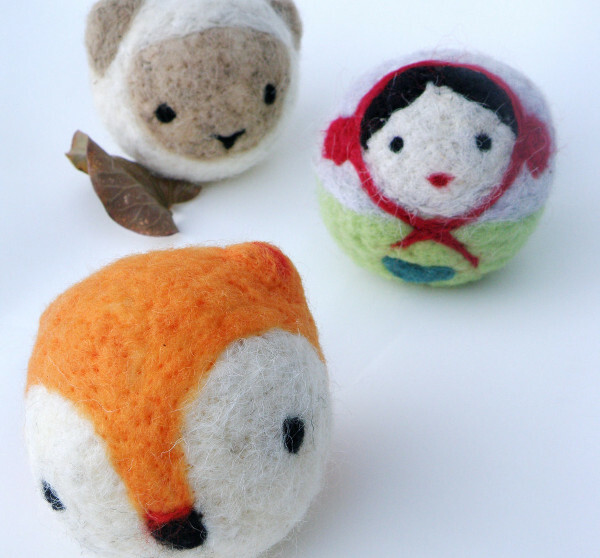 These oh-so-adorable handmade balls in woollen felt from Etsy’s Calypso and Myrsini are a great example of this trend. Each one has been filled with wool and needle felted by hand to create its own cute little face. They come in sets of three balls and you can use them not just to encourage movement and crawling, but also as a prompt for storytelling in older children. Not as small as they look in photos, each woollen ball actually has a diameter somewhere around 30cm, so they’re great fun to play with, and certainly won’t be swallowed by your little one. There are a number of character sets available, including owls, penguins, foxes and little girls, and shipping is absolutely free. You can see all the sets available and purchase them from Calypso and Myrsini. The sets begin at $56.